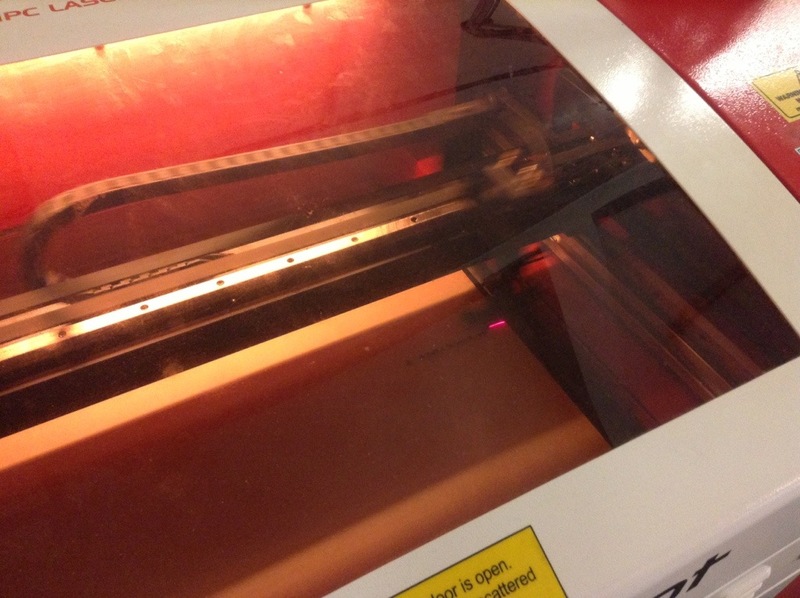 This meet up on the 29th of July, we had a man from BBC Radio Sheffiels come in and interview people about 3D printing. This was to try and get an understanding of what 3D printing is, how it works and how it has progressed over the years. It was broadcast at 6:50 AM and in more detail at 7:30 AM. The show is available on iPlayer. The 6:50 AM part is available hear at 1 hour 50 minuets. Then the 7.30 AM part is available hear at 1 hour and 3 minuets. 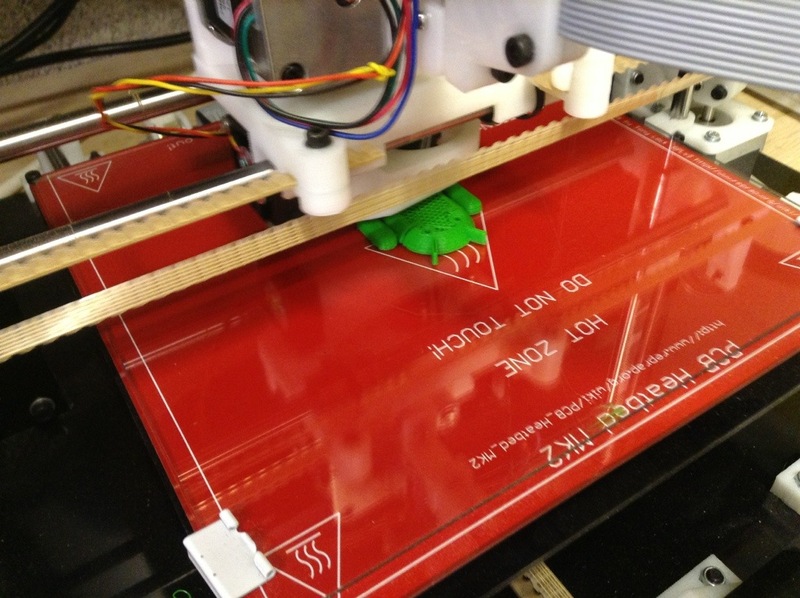 The Sheffield Hardware Hackers and Makers group have a build day on the Saturday of each month, and a evening meet up on the last Monday of every month. There will be no meet ups or build days in August because Acsess space is closed. Normal meet ups and build days will return in September. 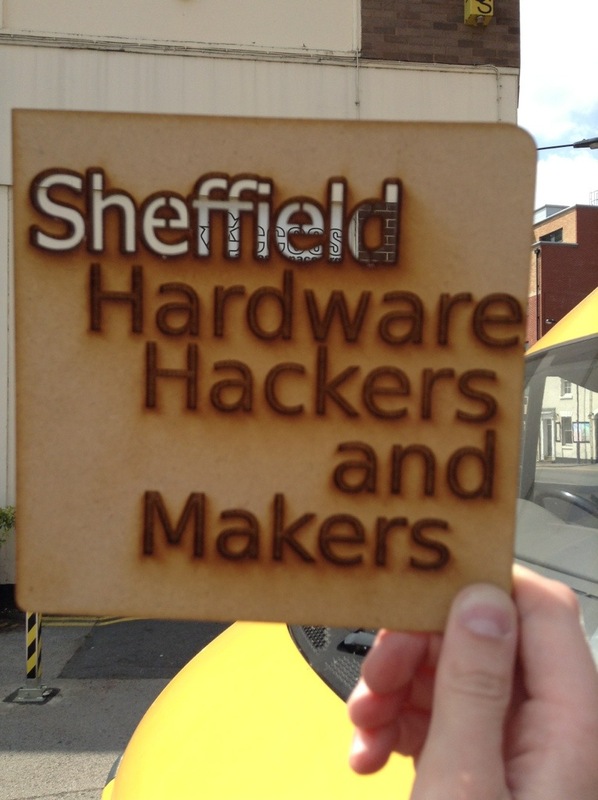 With the laser cutting a sign was cut out that said “Sheffield Hardware Hackers and Makers” this sign was made to put over where the 3D printers where. The sign had the text engraved on to the wood and the word Sheffield was cut out over the engraving. With the 3D Printer we printed a small android logo. This was from a Gcode file, This was used as a test piece. 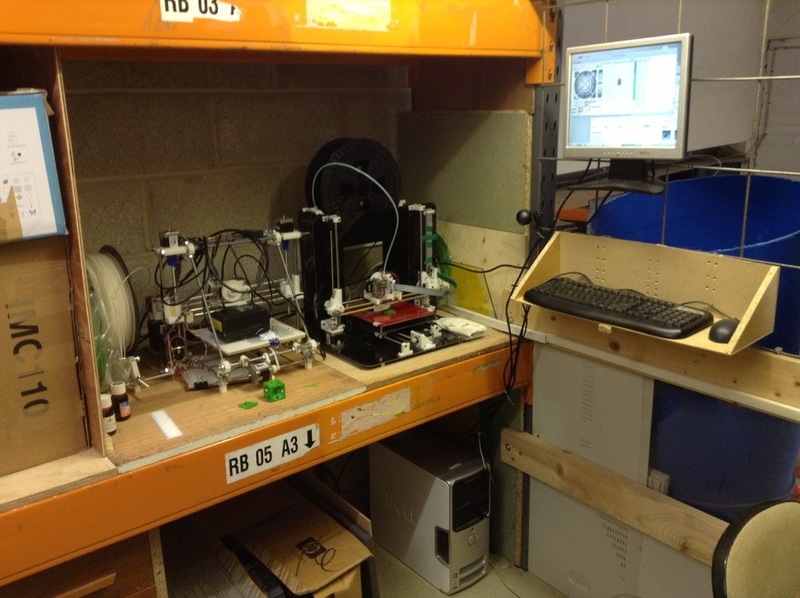 In total Access space has three 3D Printers. It’s own, and the two that the maker group brought over. Meany things have been printed on this printer, things like parts for other printers. In total the print took around 18 minits to print.